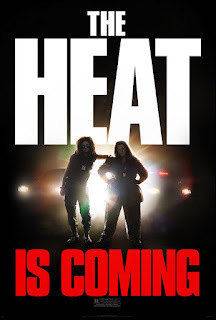 Everything about THE HEAT is lazy and uninspired, from its generic title to a soundtrack that feels like someone hit shuffle on their iPod and just went with the first dozen or so tracks that came up. The “wunza movie”/buddy cop premise at the heart of the film is as stale as most of what passes for jokes, and none of the characters even remotely resemble people who exist in the real world. 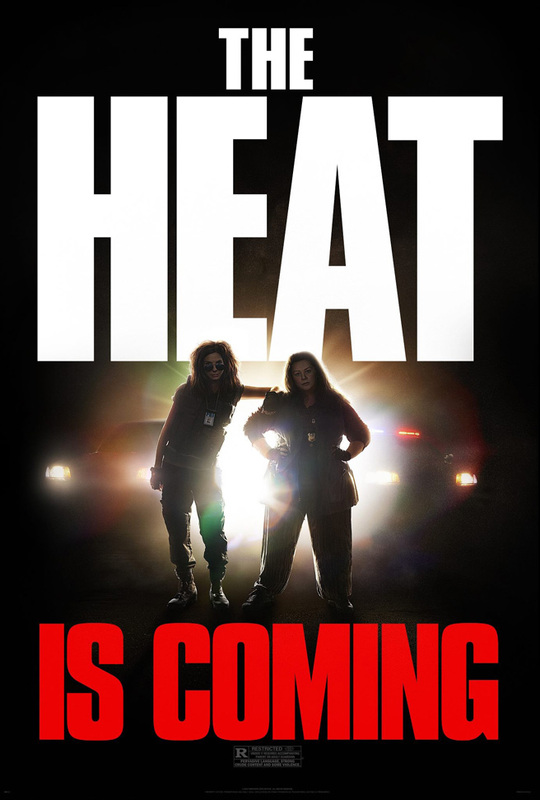 Sandra Bullock is Ashburn (“wunza arrogant by-the-book FBI agent) and Melissa McCarthy is Mullins (“wunza street-wise Boston cop who bucks authority”). In hopes of securing a promotion, the prim, uptight Ashburn agrees to work with the slovenly, down-to-earth Mullins to bring down a ruthless drug kingpin. Would you believe these two don't much like each other at first? Or that they slowly and grudgingly learn to respect each other's differing methods, each learning something from the other over the course of the movie? This is the kind of movie where there's no need to preface any description of the plot with “SPOILER ALERT” because only someone who has never seen another movie would be surprised by anything that happens. Outside of obvious factors like the cast and one or two references to things like cell phones or the Internet, this could almost pass for some lost eighties film, perhaps bought by a distributor in an ebay auction ala MIAMI CONNECTION. Only unlike MIAMI CONNECTION, THE HEAT is more mediocre than “so bad it's good”. The only thing that comes close to being original or laudable in THE HEAT is the fact that it has two women in leading roles, both of whom are over the age of 40. As much as I appreciate that kind of casting in a movie climate where female leads of any kind are in short supply, it doesn't change the fact that these two ladies are stuck in a waste of celluloid. It's not like Bullock is one of our great actresses, but she still deserves better than this. For audiences who just want something that feels comfortable and familiar (boy does it feel familiar), there may be enough laughs here to make it worth their time. For anyone whose tastes are more demanding than that, however, watching THE HEAT is likely to be a long and tedious two hours. 2 out of 4 stars. I'd never heard the term "Wunza Movie" before. I just cruised on "Mismatched-Buddy-Cops Action-Comedy" for 20 years. Is that at Ebertism, a Harry Knowles spawn, a Kevin Smith excuse for COP OUT or an Ignizio exclusive?